Seng Kong ( S.K) See Thru Roller Shutter is another fabulous choice for customer, it is also the counterpart of Polycarbonate Roller Shutter. It provides durability, aesthetic look and good viison. 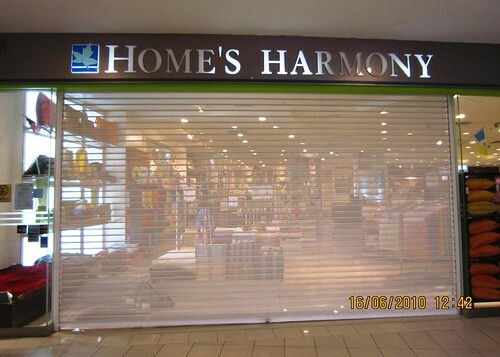 See Thru Shutter allows 60% to 70% visibility to see from outside of the shop displayed products. Ideal for commercial and industrial, eg: Shopfronts, Kiosks, Warehouse and etc. It is also commonly used in Car Park, Car Workship and Garage and etc. Prepainted (Colourbond) Finish or Optional Powder Coating Finish.